MenuHomeAboutOur SponsorsPast EventsContestsLive UpdatesLive Action! Home / Uncategorized / Winners! 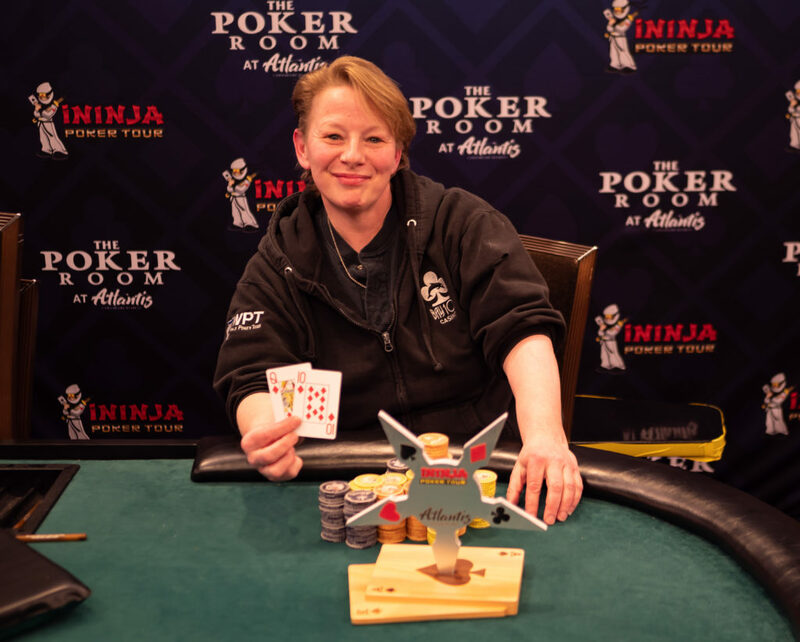 Christine Prichard wins the Black Chip Bounty event! Christine works with animals and volunteers with the ASPCA when she’s not collecting bounties in poker tournaments in Reno. 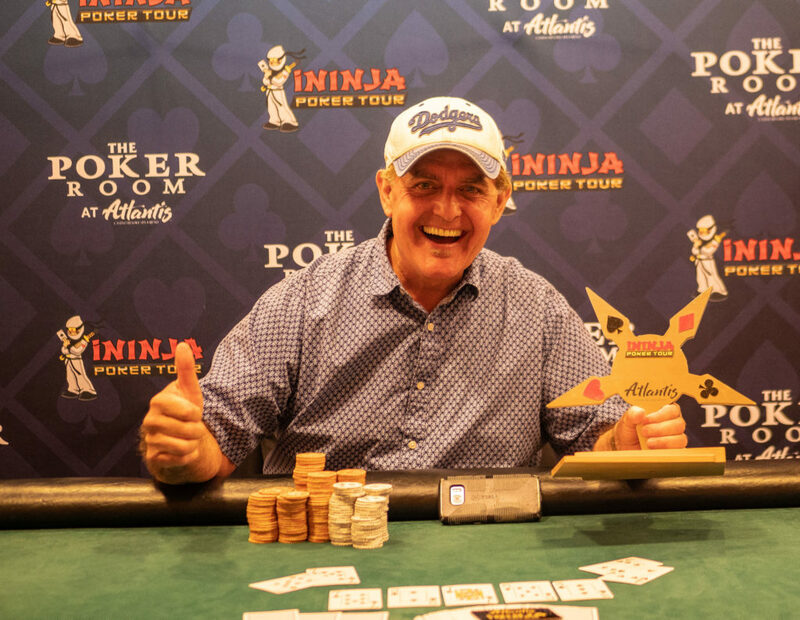 Chris Johnson crushed a field of 157 players to win the WSPS Seniors event at Atlantis Reno for a nice score of $4,999 and a beautiful shuriken trophy. As you can see in the photo, he was overjoyed! 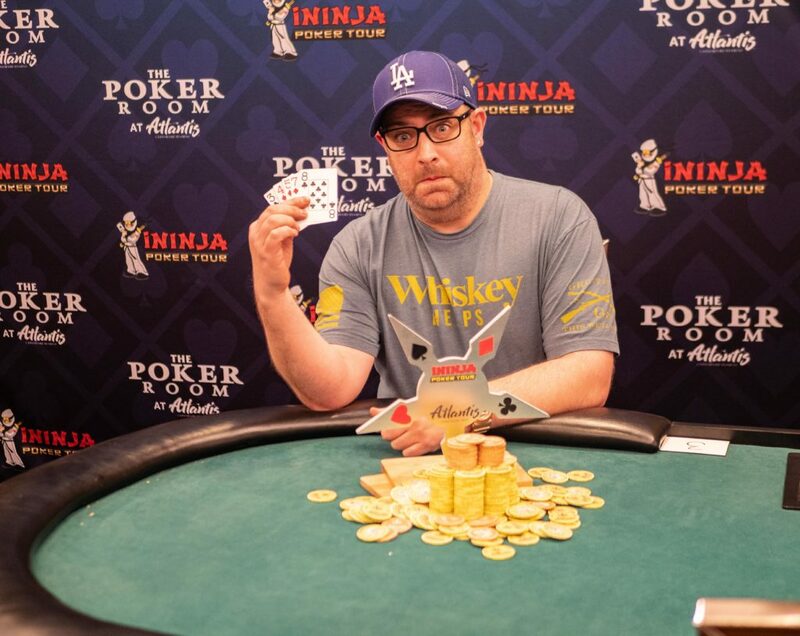 Steve Badolato shipped the eight game mix event, surviving a field that included a WSoP HORSE bracelet winner and our very own pink ninja. The photo clearly indicates his surprise when he was told that the tournament had ended and he was the winner. 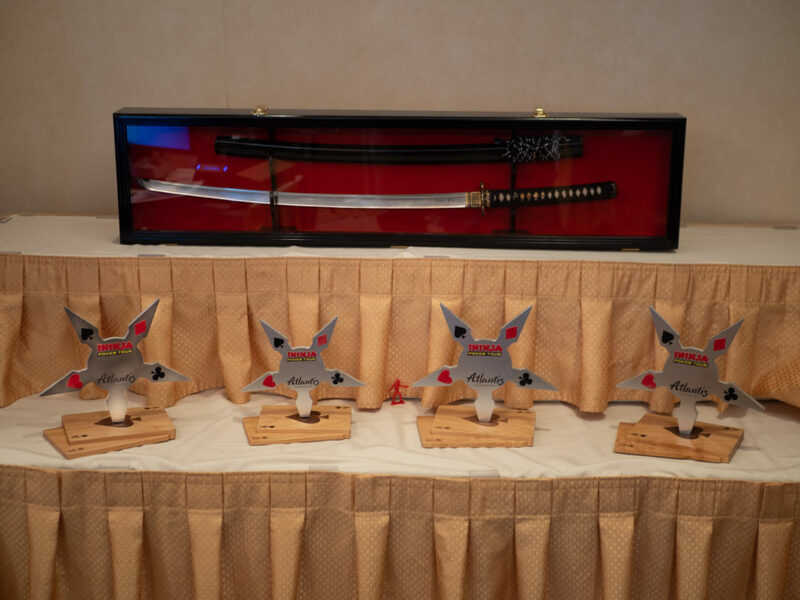 Four shuriken trophies remain, along with the prestigious main event trophy, a custom made, razor sharp, katana with out logo etched into the blade. NEW: @iNinjaPoker tour co-owner @foxpokerfox put together this fun recap of their latest event at @PokerAtlantis. Contact him for a discount code, he may have a few left. Hurry, the first session is tomorrow night! Congratulations to Joel Danforth, winner of today’s Resurrection event! Wearing a Ducks shirt, he came back from being an underdog to winning with ducks🦆 (22) Joel also cashed in the main event today, finishing 32nd out of 323. Final table on the Main Event 100k guaranteed! Names and Chip counts to come in the @iNinjaLive feed. The FT will stream live when down to 9. Congrats to all!